by Atheeta Ching, Sean Jamshidi, Rafael Prieto Curiel and Nikoleta Kalaydzhieva. Published on 24 October 2017. Jonathan Farley is a mathematician from New York who completed his bachelor’s degree at Harvard and graduated with a DPhil from Oxford in 1995, after winning Oxford University’s highest awards for mathematics graduate students, the senior mathematical prize and Johnson university prize. His research interests include lattice theory, the theory of ordered sets and discrete mathematics. Whilst this may sound quite pure, there have also been some interesting applications. For example, Jonathan published a paper in 2003 called ‘Breaking Al Qaeda Cells: A Mathematical Analysis of Counterterrorism Operations’ analysing when a terrorist network becomes disrupted and dysfunctional using order theory. This attracted some media and military attention, including the Ministry of National Security in Jamaica implementing some of Jonathan’s ideas in smuggling networks. When Jonathan was in high school, his class completed a questionnaire which would tell them their ideal vocation and his result was a mathematician/statistician. “That was the first time I really thought of becoming a mathematician, and since my parents are both professors, I only ever thought of becoming a mathematics professor”. Jonathan’s mother is Jamaican and has a PhD in American history, his father is from Guyana and has a PhD in economics which he completed at the LSE. Jonathan’s passion for lattice theory started during his undergraduate degree where his advisor was Garrett Birkhoff – who was one of the leading figures in 20th century lattice theory. “I had a lot of interesting conversations with him. I wish now that I had known more math then, to more fully appreciate those conversations.” Although Jonathan admits lattice theory is a bit of a dying field, he recently visited someone in New York City who has used lattice theory in cancer research. “A lot of mathematicians will say, ‘Oh, this work can be applied to x or y’, and if you go to the people in those fields, they don’t know anything about it. However, this does seem to be a real application; they’re working with people who are actual medical doctors”. There is a large drop in the number of black students continuing to study mathematics after high school, and Jonathan believes this is due to them not knowing any mathematicians or not being aware that it is a possible career. “In America, you do have many middle class African-Americans, but you also have a lot of ones who are poor, so they’re going to do whatever is most lucrative and becoming a mathematics professor or a mathematician probably is not what they’re thinking about.” Despite Jonathan not knowing many black mathematicians himself at the time, he never felt isolated due to his knowledge of antiquity and his parents coming from a community of scholars. “I didn’t need to see it directly, or work directly with black mathematicians. Although when I was in Oxford, I did try to do my part with the Oxford Access Scheme, the purpose of which was to bring non-traditional students to Oxford, or at least expose them to the university, so they would consider applying.” Jonathan believes it is particularly important for schools to highlight scientists from other parts of the world and the long history of mathematicians working in Africa, because they certainly do exist! At the very top level, Jonathan hasn’t yet seen any black mathematicians as great as David H Blackwell and J Ernest Wilkins Jr (who completed their PhDs in the 1940s), however he is optimistic and thinks the time will come. In terms of academia, the number of black mathematicians does seem to be increasing. For more information on this, Scott Williams runs the website ‘Mathematicians of the African diaspora”. 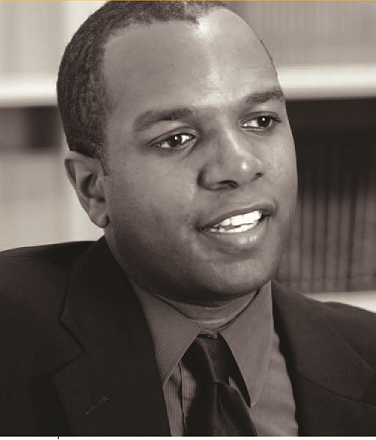 Jonathan has seen first-hand the extent of racist attitudes to black mathematicians in the USA, having once been detained by police at MIT for ‘looking like a bank robber’ and being forced to move and resign his job at Vanderbilt University because of death threats and other threats by supporters of the Ku Klux Klan. He shared several of his experiences, and those of other black mathematicians, in an essay here.